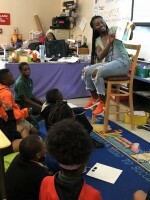 FAMU is in position to run away with the MEAC title. Riding the momentum from the biggest win of the season, the Florida A&M football team is now in an unfamiliar but ideal place. Thanks to their stirring come from behind 22-21 win at North Carolina A&T, the Rattlers are sitting atop the MEAC standings with sole possession of first place. The Rattlers now control their own destiny. “It was a great team win we showed that we can overcome adversity and take what we want,” said sophomore running back Bishop Bonnet. Coming off a bye week with four regular season games remaining, the team has had a chance to get healthy and install new gameplans and formations. Two of the remaining opponents on the Rattlers’ schedule have winning records: Howard University and Bethune-Cookman. Howard is an explosive offensive team led by Caylin Newton, the younger brother of NFL All-Pro Cam Newton. The Rattlers will have their hands full this year when they make the trip to Washington next week. As for Bethune-Cookman, there's not much to be said. The rivalry fuels itself and head doach Willie Simmons understands the magnitude of the Florida Classic. Both of these matchups will be pivotal for the Rattlers’ goal of reaching the Celebration Bowl. The Rattlers are hitting their stride at the right time, and are learning how to win close games. The offense has found a way to consistently make explosive plays, both with the run game and passing attack. Quarterback Ryan Stanley has made major improvements in Year One of Simmons’ spread system, throwing for 1,545 yards, 10 touchdowns, and posting a 60 percent completion percentage. The running back duties have been split between a plethora of dangerous options that include Bishop Bonnet, Ricky Henrilus, Devin Bowers and Deshawn Smith. Each running back brings a different element of surprise to the defense. Bonnet could be seen as the home-run hitter. breaking the longest run of the season at 67 yards, while Smith could be seen as the all-purpose back posting a team high 152 rushing yards in a win over NCCU. The receiving corps is headlined by the dynamic duo of Chad Hunter and Marcus Williams. So far Hunter has 35 catches for 446 yards along with 5 touchdowns while Williams has compiled 20 catches for 260 yards and 2 touchdowns. The two have become reliable options for Stanley and the Rattlers’ offense. 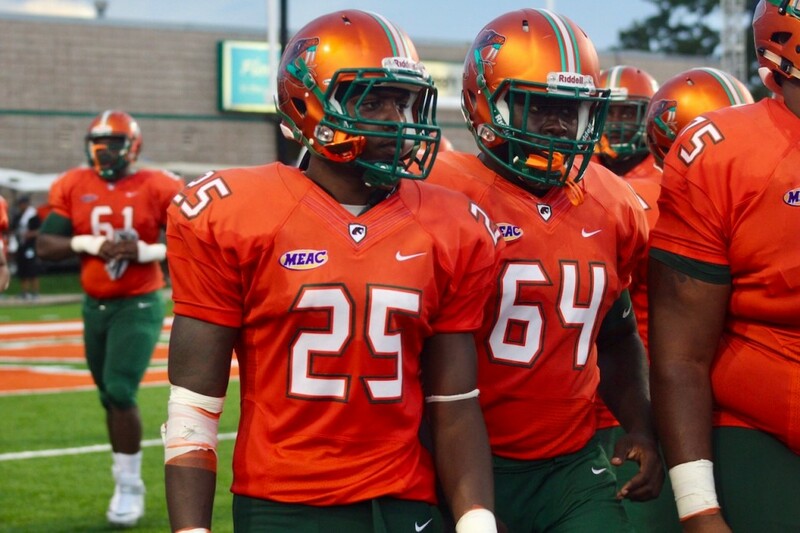 FAMU is currently in the driver’s seat and it’s totally up to this team to stay unbeaten in the MEAC. If they win out they will clinch a birth in the Dec. 15 Celebration Bowl in Atlanta. “This team plays for each other and our goal is to win a MEAC championship and to do so we have to be champions on and off the field,” Simmons said.